The FFA Auction which was scheduled for this Friday has been postponed. The rescheduled dated will be posted once the new date is determined. Posted in Buckaroo News on April 22, 2019 by The Buckaroo Blog. After school care will be available for students enrolled in the after-school care program. There is an additional $5 charge for an early release date. There will be no after-school care on Friday, May 24. Smackover Preschool will dismiss early only on May 13 and May 24. Smackover Preschool will observe regular hours on May 21, 22, and 23. The girls’ softball game scheduled for today against El Dorado have been canceled. Posted in Buckaroo News on April 18, 2019 by The Buckaroo Blog. Ethan Warren and Robert Dixon brought home 3rd place in the last Bassmasters tournament on April 13th with 10.62 pounds winning $240 and 2 Lews reels. Ethan also won Big Bass with 4.22 pounds. He and Robert were awarded $50 Gift card and a trophy each. Trey Darden and David Martin brought home 4th place with 10.56 pounds winning $190. 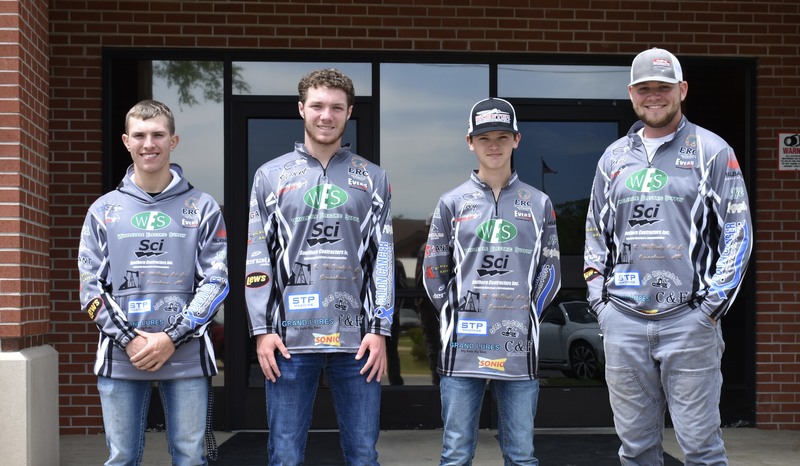 Ethan and Robert finished 2nd place overall in Angler of the year with Bassmasters, while Trey and David finished 3rd in Angler of the year with Bassmasters. The championship will be May 4-5th. In addition, the team will also compete in the Arkansas Game and Fish Commission, one more tournament with a due date that is to be announced. Earlier in April, Lockheed Martin representatives provided a presentation for Smackover High School’s juniors and seniors. Students were told about the multitude of career opportunities available at the Camden Lockheed Martin facility as well as the many benefits the corporation offers. Careers range from entry level to salaried positions. Posted in Buckaroo News on April 17, 2019 by The Buckaroo Blog. We received some more information after we posted our Parent Resource Guide earlier this week. Posted in Buckaroo Community, Buckaroo News on April 17, 2019 by The Buckaroo Blog. Click on the picture below for video taken from the Arkansas Children’s Week Parade in Smackover.